You are here : Big Data Analytics News » Big Data » How Fintech is Changing the Way We Do Things? How Fintech is Changing the Way We Do Things? What is it about Fintech that has 84% of insurers looking to partner with Fintech companies in the next three to five years? Or that has 91.3% already collaborating with Fintechs? Put quite simply, Fintech has completely changed the game for financial service providers. 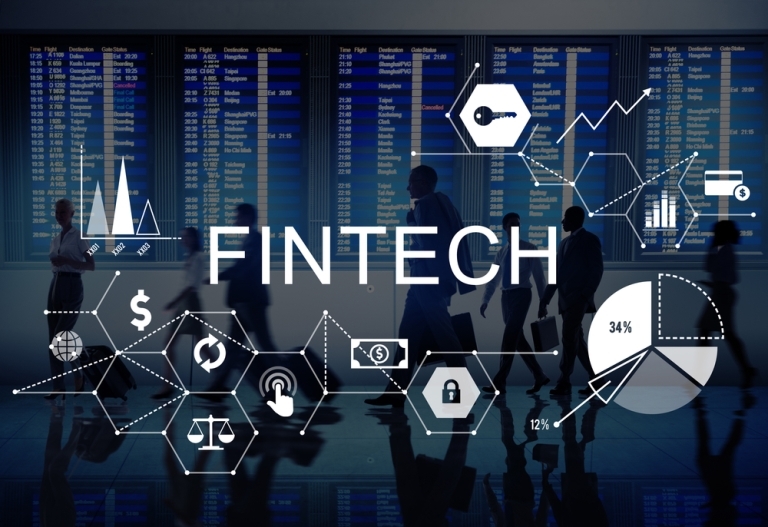 Fintechs can provide better data collection and analytics, better security options and access to automation of simple tasks. Fintech accomplishes this in several different ways. Using Bitcoin transactions is one way to gain access to secure, anonymous payments, which is why businesses like eGifter and Expedia have started to offer Bitcoin as an equivalent payment method – both for security reasons as well as shopper convenience. Let’s say, for example, that you are an insurance company. Mr. Smith comes in and applies for a policy. Traditionally, your company would draw on a list of historical data and tables drawn up by actuaries to properly determine risk. Traditionally, this is necessary because evaluating each individual’s risk otherwise would take too long because of the mountains of data to check. But using generic data might mean you are coming up short. You have to choose the categories that Mr. Smith fits into best and so offer insurance rates accordingly. But what if he doesn’t fit neatly into those categories? Maybe he keeps his car in a locked garage at night, but parks in a high crime area during the day. With generic options, it is hard to get the exact right fit when it comes to insurance risk. With the staggering amounts of data that artificial intelligence is able to process, however, those generic options become less important. The computer can analyze all the risks and rate them accordingly. This allows for a much more accurate risk assessment and a truly personalized rate. Any promo or insurance discount can be applied much more accurately. One of the big issues for financial institutions is keeping their data secure. At the moment, most operations are run using heavy encryption and by keeping the data secure at server farms. It is mostly effective, but breaches can occur. The other disadvantage of this system is the cost to the company. Securing data in this manner is expensive. The blockchain offers a workable alternative to this system. Data is stored as a distributed ledger over the computers within the network. The ledger cannot be altered, and transactions that are added are sent through a complex verification process to ensure that they are correct. Because the data is stored on several different computers, hacking in and trying to change the data is extremely difficult. Also, the distributed network ensures lower latency rates and downtime. Because the information is stored on several different computers, there is no need to have a separate server farm. The computers within the network provide all the computing power necessary. Another exciting area that Fintechs are working on is the automation of simple functions. Let’s say, for example, your staff is currently manually processing accounts received and assigning them to the appropriate invoices. Artificial intelligence can perform the same function a lot faster. Artificial intelligence is helping companies to perform functions a lot more accurately, faster and cost effectively. Your staff are able to spend time on more important projects. All in all, Fintech is changing the way we live. It has changed the way we make payments, how we deal with data, how secure our information is, and taken some of the tedium from day to day functions. And so far we have only scratched the surface of what it can do. « Kick-Start Your Career In Cloud Computing!